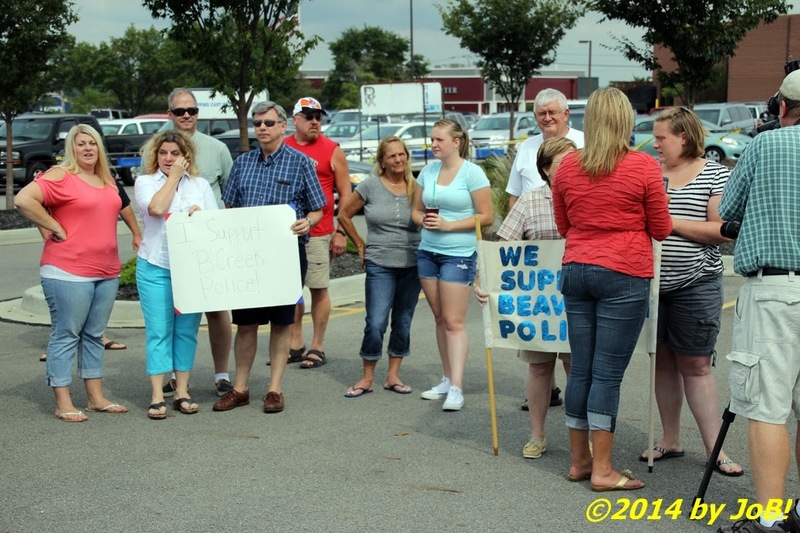 A prayer opened the Operation Shield BPD support rally in Beavercreek, Ohio on Sunday afternoon. 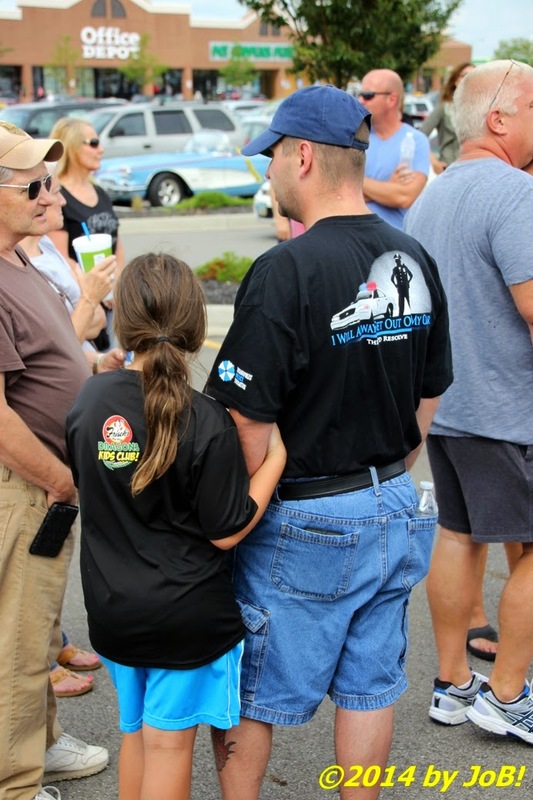 Michael Crain, a chaplain assigned to the Huber Heights Police Division, organized the 4pm rally through a Facebook page that he created on August 9th to consolidate the community's appreciation and to provide moral support to Sergeant David Darkow and Officer Sean Williams. 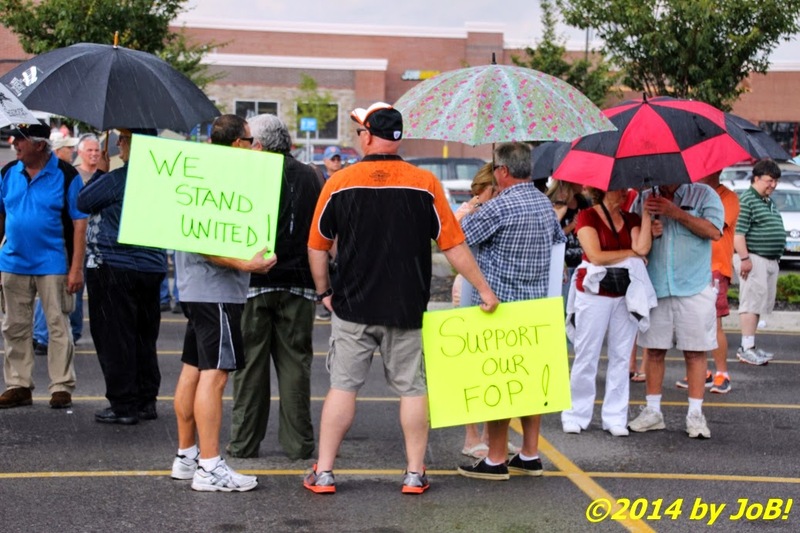 Both officers were placed on administrative leave after the shooting death of the 21-year old Cincinnati native and the associated death of 37-year old Angela Williams, a mother of four from nearby Fairborn, who experienced a medical emergency while trying to evacuate two of her children from the store during that police operation. 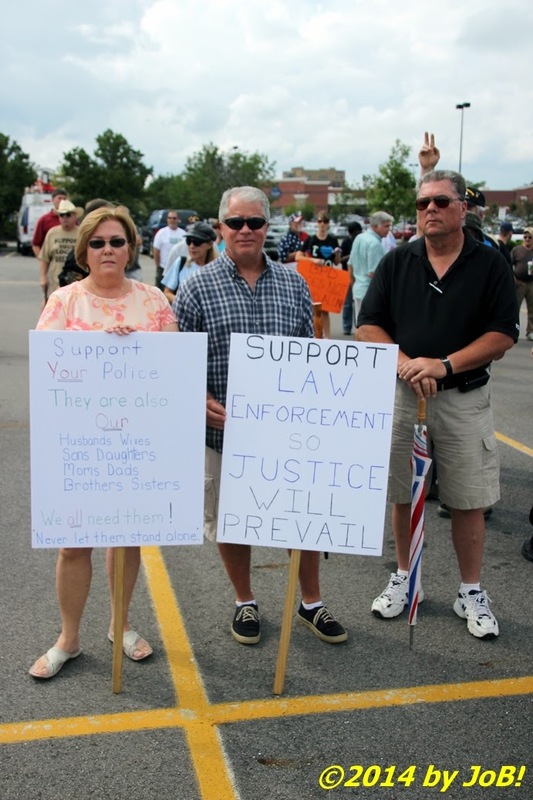 Although Crawford's death was ruled a homicide by the Montgomery County Coroner's Office, no charges have been filed against the officers for that shooting and a special prosecutor was assigned by Ohio Attorney General Mike DeWine to take that case to a grand jury that is scheduled to begin on September 22nd. 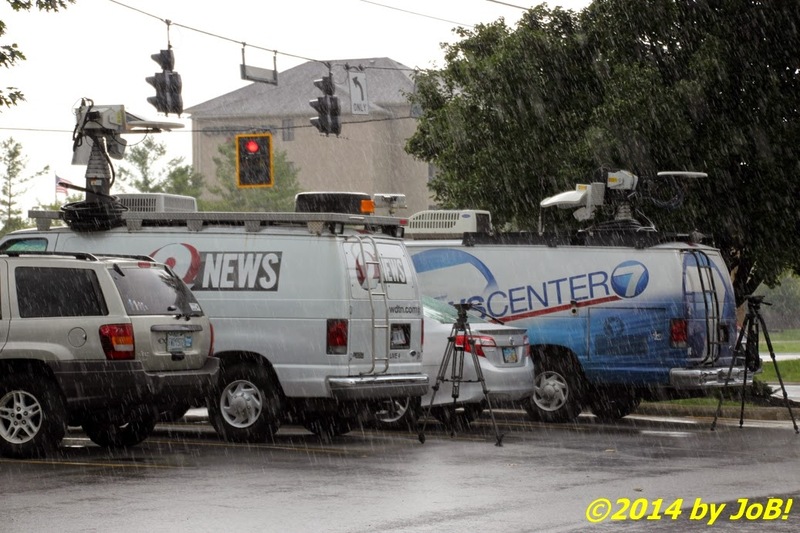 Most, if not all, of the shooting incident was captured by the store's network of 200 security cameras but DeWine has so far refused to allow that video evidence to be released to the public prior to the impaneling of that body because it could influence potential jurors. 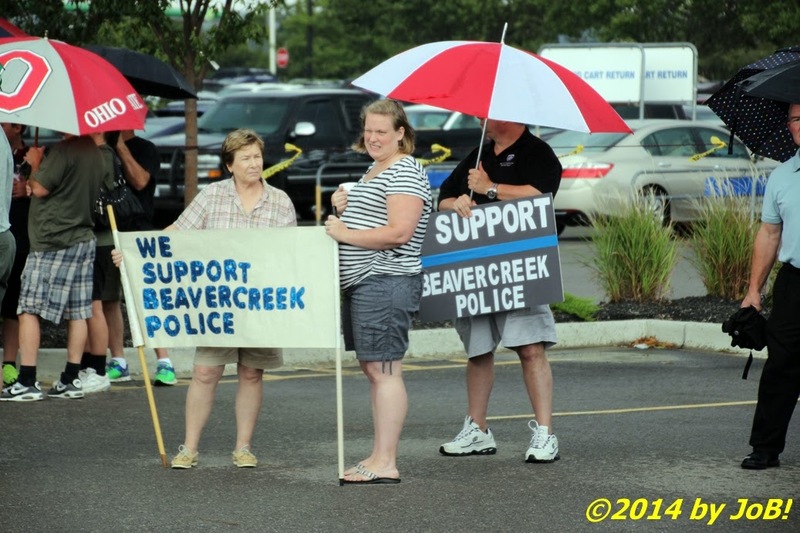 Numerous signs and articles of clothing displayed support and appreciation of law enforcement activities and the Beavercreek Police Department at the Operation Shield BPD rally held in Beavercreek, Ohio on Sunday afternoon. 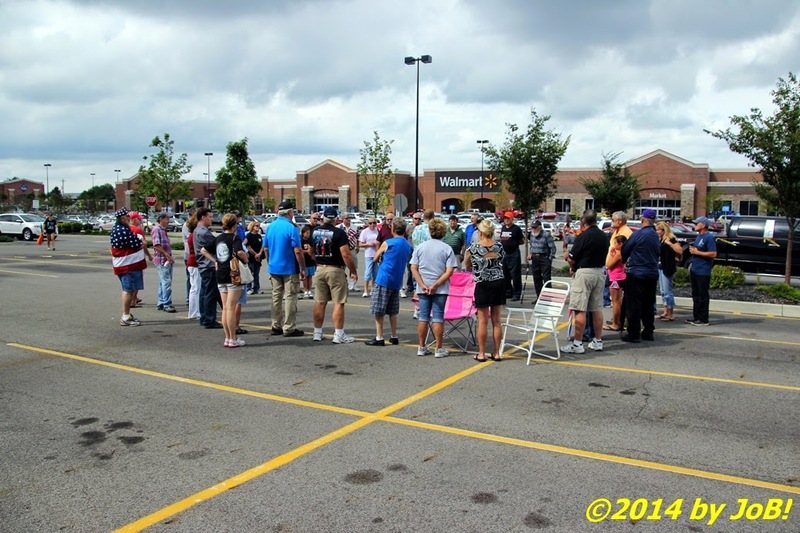 After Crain's opening prayer and a quick announcement about guidelines for the rally, the event transformed into an informal socializing opportunity for the attendees and a chance to stand together as a group to display their solidarity with the Beavercreek Police Department and for law enforcement and first responder activities in general. There were no other speakers besides Crain who preemptively closed the gathering with another prayer when a passing rain shower sent many people scrambling for cover at approximately 4:30pm. 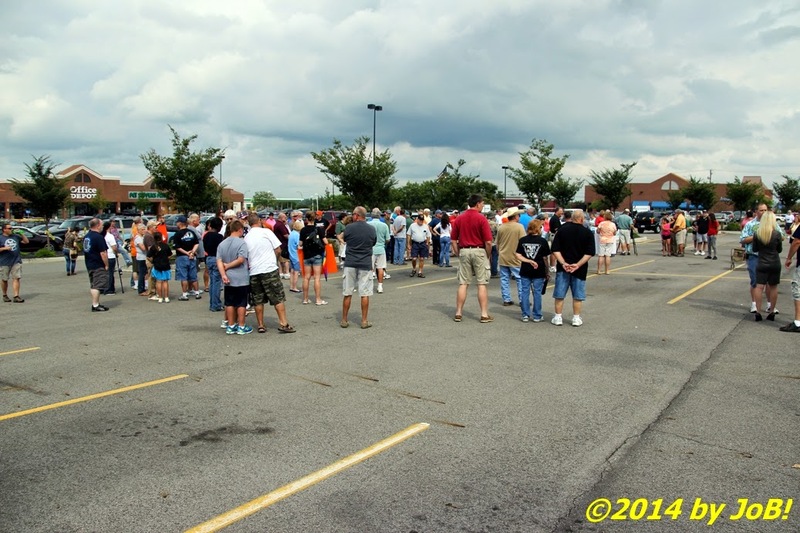 A sudden downpour sent attendees scrambling for cover at the Operation Shield BPD rally in Beavercreek, Ohio on Sunday afternoon. 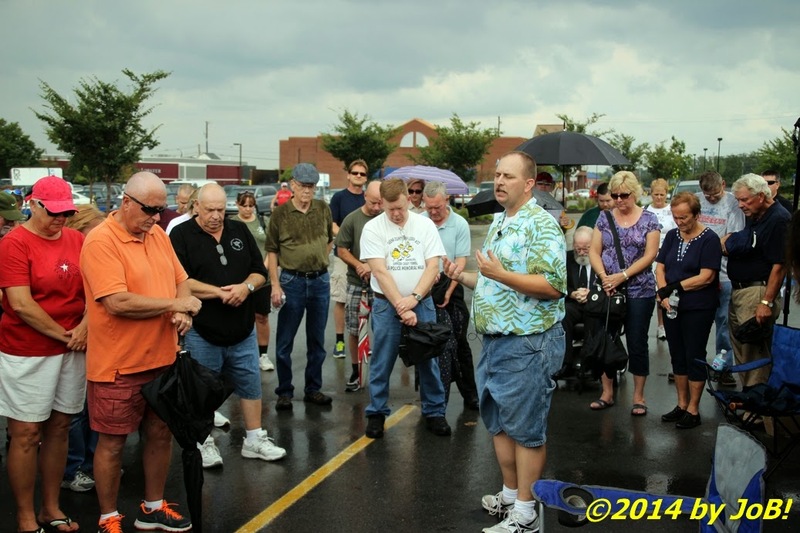 Chaplain Crain (near center) leads a closing prayer for attendees at the Operation Shield BPD rally in Beavercreek, Ohio on Sunday afternoon. 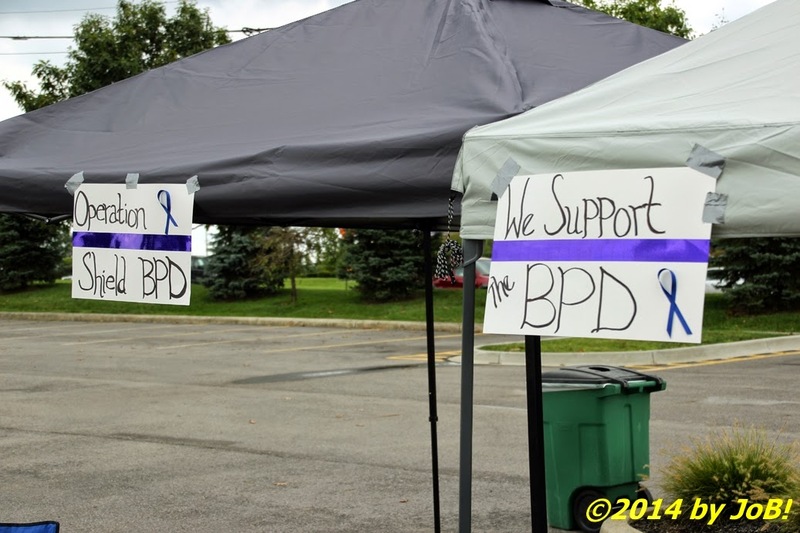 As of this posting, there are no other Operation Shield BPD events scheduled but updates will be announced through the aforementioned Facebook page when required. 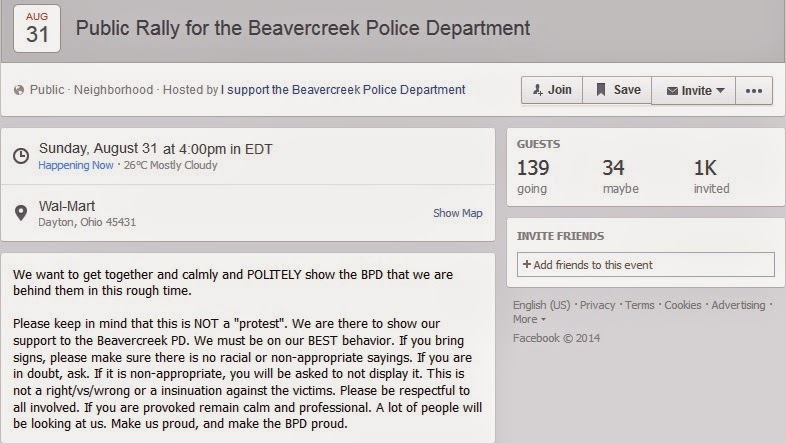 A screen capture of the rally announcement posted to the I Support the Beavercreek Police Department Facebook page.